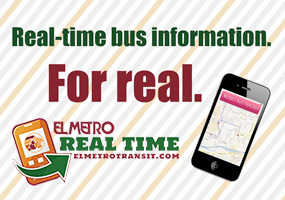 El Metro fixed route service is the most convenient way to go seven days a week. On these routes, the bus stops at the same places, at the same times, every weekday. Local fixed routes have shorter schedules on weekends. Buses stop only at bus shelters and posted “Bus Stop” signs. Most bus stops are served every 15 or 30 minutes weekdays. 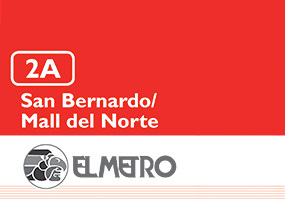 An El Metro ID is required and must be presented when boarding the bus in order to pay reduced fares (children are not required to show ID). Call customer service to obtain the proper identification. Please request your transfer as soon as you board the bus. Good only for the next vehicle leaving transfer point. Not good for return trip. Upon request, the operator will advise you of transfer points. Most El Metro buses have ramps or lifts for ease of boarding and have two spaces for persons in wheelchairs. Persons with limited mobility who do not qualify for El Lift service may be eligible for a reduced fare. El Lift is a specialized transportation service for persons with disabilities. Advance reservations are required, and El Lift riders must meet specifi c eligibility standards. El Lift Paratransit Services provides shared, curb-to-curb public transportation to people with disabilities who are unable to use El Metro’s fi xed route buses. We also offer free travel training to eligible persons with disabilities who are capable of riding an accessible bus. Paratransit Services is a shared-ride service operated with modern, accessible vehicles. Riders who are unable to access vans by using steps may use wheelchair lifts. 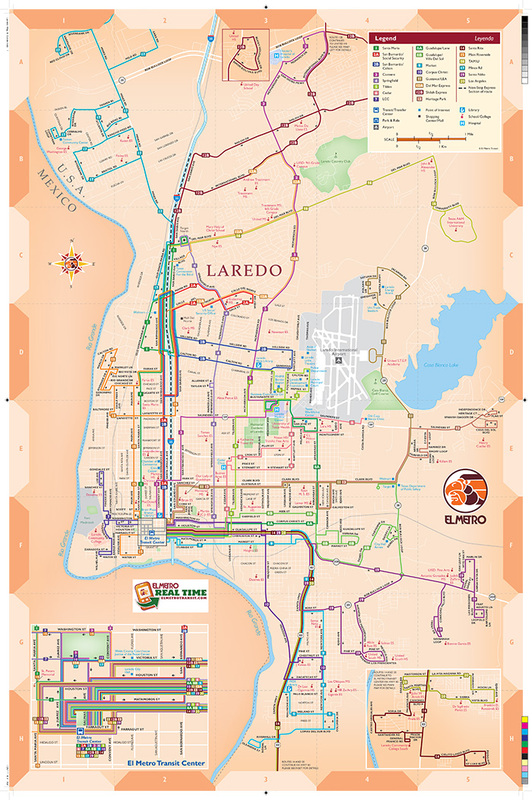 If you need to know about El Lift service to a particular location, or if you have other questions about the El Lift program, please call (956) 795-2280.
notices on the bus or call Customer Service for specific holiday schedules. 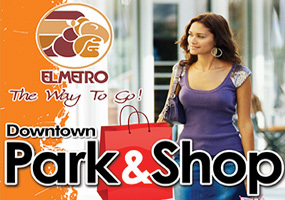 Hours of Operation: Mon-Fri 8:00 a.m. – 5:00 p.m. If you need a quick answer by phone, printed information on routes, schedules or detailed trip planning assistance. Call (956) 795-2280 Monday thru Friday from 8:00 a.m. to 5:00 p.m. Our customer service agents are eager to help you. Take your bike on the bus! Every El Metro bus has a bike rack, and it takes only seconds to mount your bike and be on your way. Be at your bus stop 5 minutes early. Have the correct fare ready. Bus operators do not carry change. Purchase your transfer when boarding the bus. Reserve seats in the front of the bus for the elderly and riders with disabilities. For safety, please fold strollers and keep them out of the aisle.